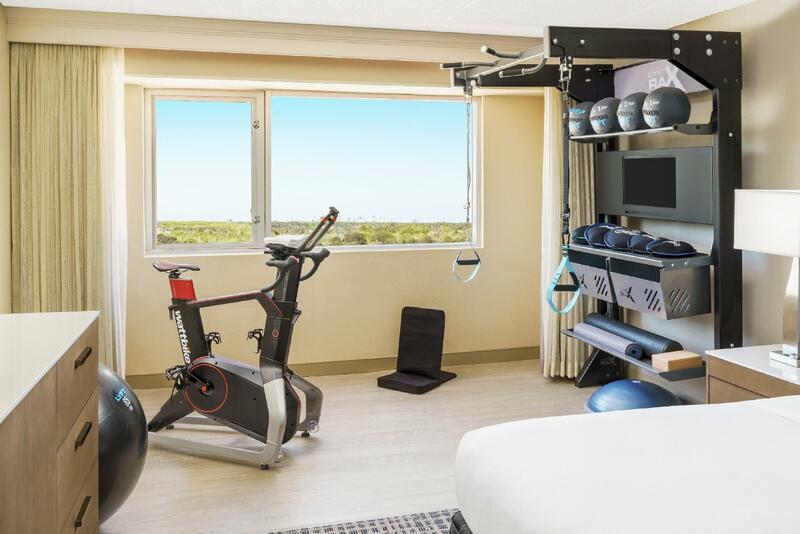 "Generally a nice hotel with good facilities (gym, pool, pool..."
Have a question for DoubleTree by Hilton Orlando Airport Hotel? 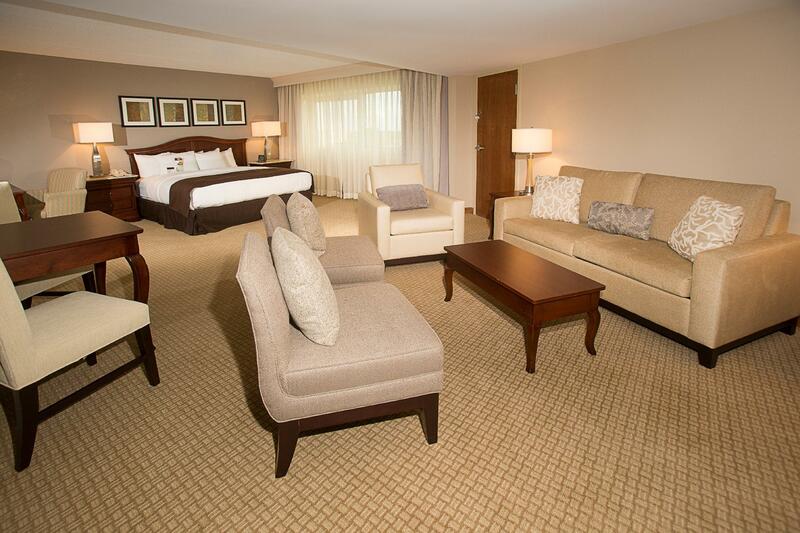 Featuring a 10-story, V-shaped atrium, the hotel has 353 spacious guestrooms and is located close to the airport. 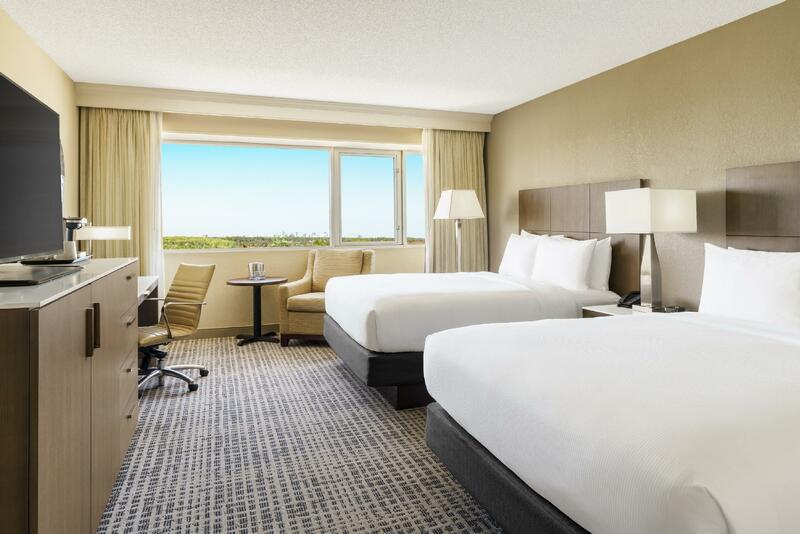 The DoubleTree by Hilton Orlando Airport Hotel is less than two miles from the Orlando International Airport. It is also 12 miles from Universal Studios Orlando and 10 miles from Sea World. Guests are welcomed by a giant atrium in the lobby. There is a free shuttle service to the airport running every 15 minutes. Included in its many facilities are a whirlpool and outdoor swimming pool. 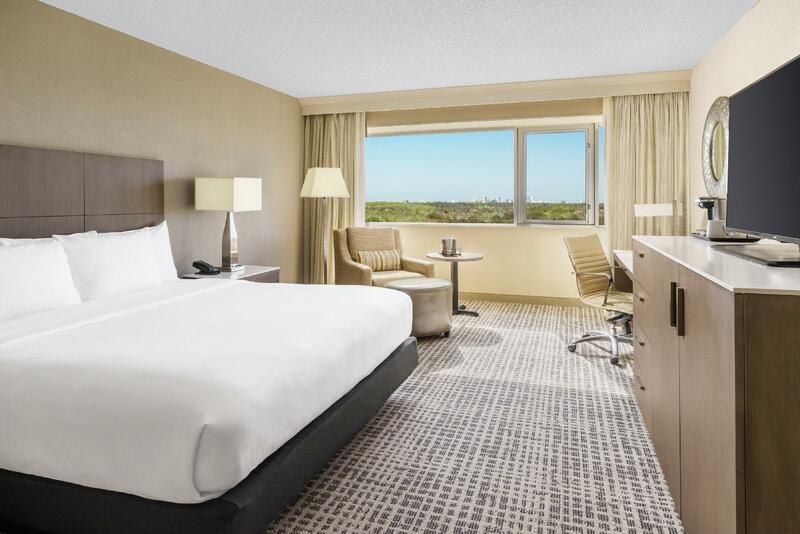 The 3.5-star DoubleTree by Hilton Orlando Airport Hotel provides excellent customer service, as well as quick and easy access to the airport. "Had a great stay ." Generally a nice hotel with good facilities (gym, pool, pool loungers, etc). 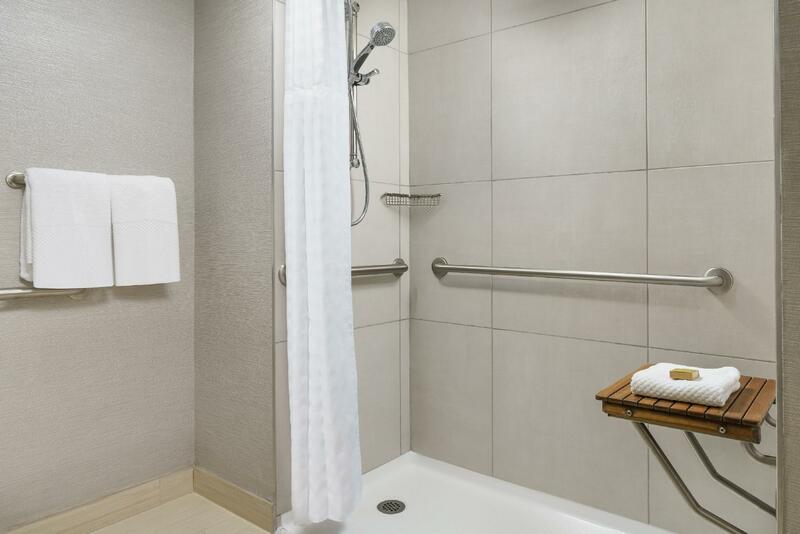 Clean, accessible. I chose it because it was close to the airport. Beds were sooooo comfortable after long flight. Very very clean. Good shuttle service. Great. Would definitely stay again. Very clean. Great amenities. Staff helpful. Good shuttle service. Good breakfast. Nice pool and pools area very clean and spacious. Nice bar inside. Good lifts. Generally excellent. Really welcoming and comfortable. lovely. we arrived tired out having had some very difficult travelling problems plus a five hour time difference. lovely lady from belgium at reception gave us a superb room, just what we needed lots of comfort, lovely bed all we could wish for plus another welcome in the restaurant at 9pm. served by a delightful young lady from cuba. everything that the hotel could do for us, from the porters who kindly took all our luggage to and from the room to front desk and the restaurant nothing was a problem. geat hotel and great service. thank you. very close to airport and has free shutter bus to airport. we choose this hotel because it is very close to orlando airport, although cannot reach in walking distance. the hotel has free shutter bus 24 hours to airport. the hotel has an old building – but still good maintained. the hotel has free wifi in every rooms. the staff is very friendly and helpful. 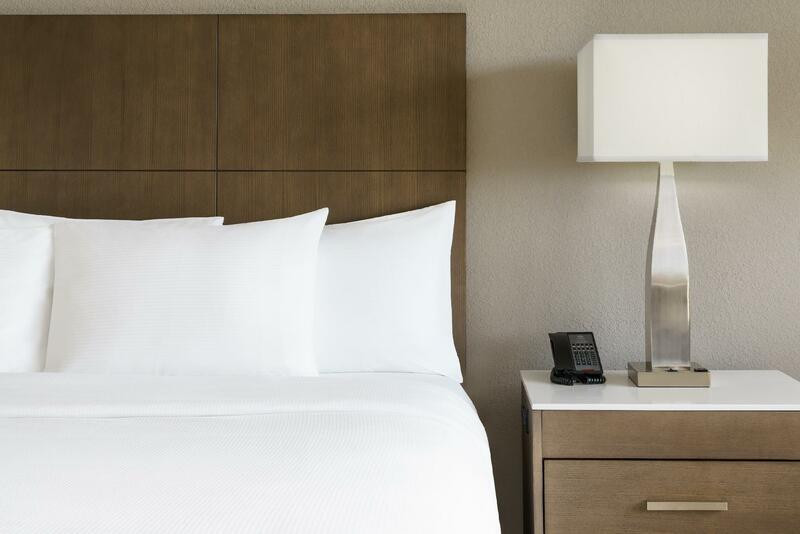 Handy for local restaurants (able to walk), Clean room and comfortable beds. None that we became aware of. The welcome at the hotel was very good - not over the top. The room was clean and had plenty of space. We chose the hotel for its location near the airport and expected basic and the hotel was more than basic. The staff who ran the airport bus were again very helpful. We had just a quick stop for one night, we were able to walk to a choice of restaurants, the room was big and clean. We chose this hotel as we needed to be in Orlando for an early morning flight. The service was efficient and the room more than satisfactory. The shuttle service to the airport left every 30 minutes 24 hours a day which was fantastic and the service was great. Decent enough hotel except no room service after 10pm and nothing to eat in the room, they told me oh there are restaurants close by outside so you can just walk out and get something to eat there. I declined and they gave me a delivery menu that was nice food. 괜찮았습니다. 밤에 올랜도에 도착하여 공항 근처에 묵어야 한다면 추천드립니다. 하지만 아침 부페는 별로 먹을 만한게 못되더라구요..
Detta är ett hotell som man bor på enbart för att man skall flyga tidigt morgonen därpå. För detta endamålet passar detta HOTELL UTMÄRKT.Det har hög standard och är rent och fräscht. Trevlig personal som är hjälpsam. Poolen är lagom stor för att avsluta semestern med ett dopp. Det går bussar till flyplatsen var 15:e minut.